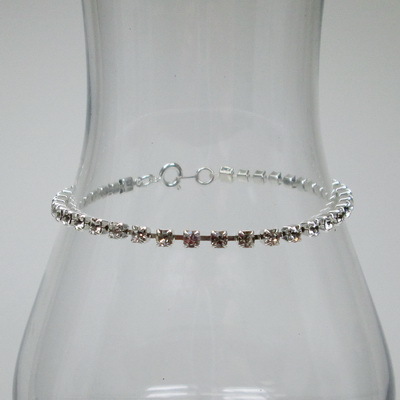 Make your own version of the expensive tennis bracelets but at a fraction of the cost! We have this stunning crystal cup chain that is only .60 per inch. Add the little connectors on the ends for $1.00 and then add a simple clasp. You can make yours for around $5.00. Available in clear crystal with silver backing or clear with black backing. Perfect for a simple, yet elegant bracelet. Great to add a little bling to all those stacked bracelets we are all wearing right now.